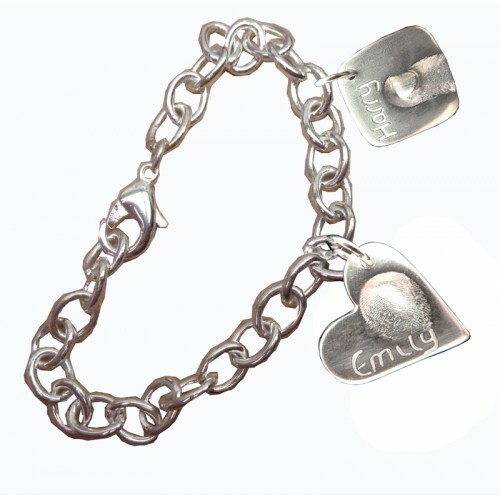 A beautiful fine silver fingerprint charm bracelet, each charm is made from fine silver & the silver fingerprint charm can be personalised further with a loved one’s name & even a kiss if there is room. 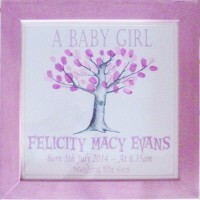 We can transform fingerprints from babies, children or adults into stunning jewellery, creating keepsakes that will last forever, large or small fingerprints can be captured easily and treasured. 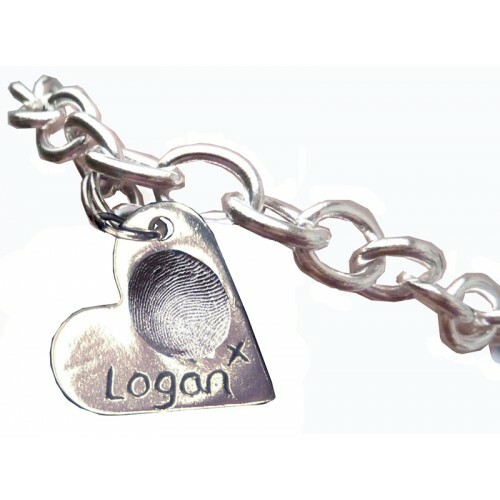 Once you have placed your order, we will send you out a fingerprint kit(s) and instructions so you can capture the fingerprint(s) for us, this is really easy to do and once completed, you simply return them to us and then we can start to create your personalised fingerprint bracelet for you. 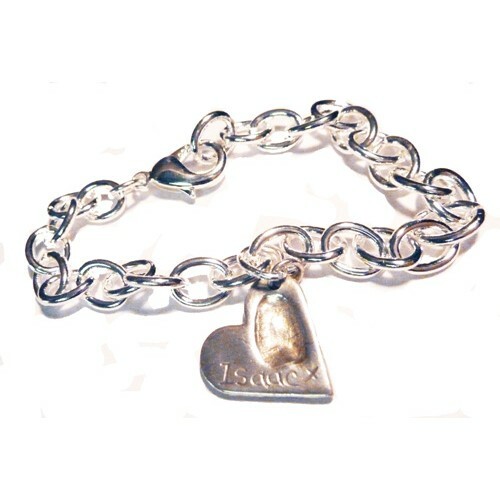 This fingerprint charm bracelet is £99.99 for a single charm on the bracelet and if you order more charms at the same time, these cost just an extra £55.00 each and we will solder each one to ensure that they are securely fixed to your sterling silver charm bracelet (simply add them via the drop down box). 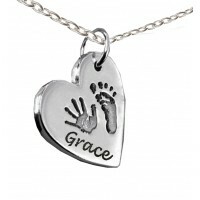 We create a positive mould from the negative fingerprint mould that you return to us and then we will press this into some fine silver to create your fingerprint charm, this means that each piece will be totally unique to you and no two charms will be exactly the same, therefore if you add more than one charm the fingerprints will all be different. 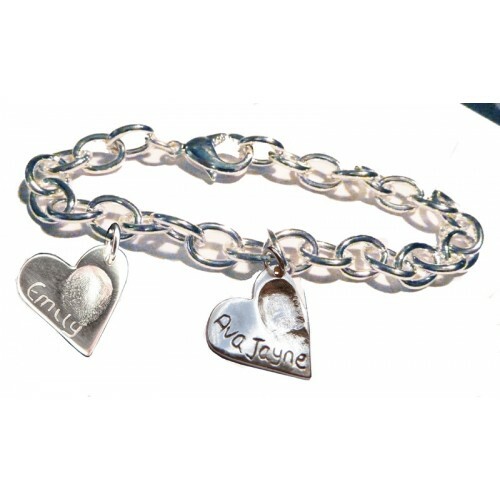 Once we have created your fingerprint charm, we will then attach it to the sterling silver charm bracelet and solder the jump ring for added security and present your bracelet in a gift box, making a really personalised keepsake. 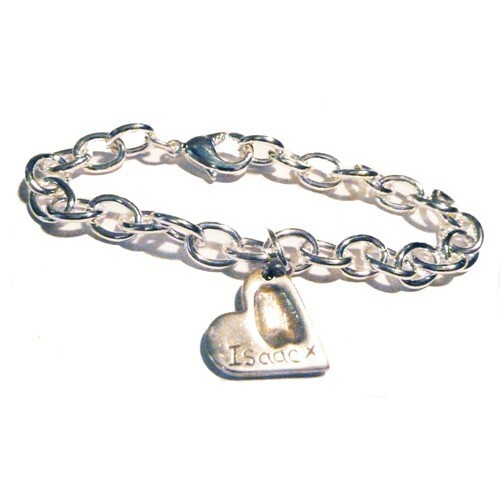 This sterling silver bracelet is perfect for showing off your fine silver fingerprint charm and comes complete with a lobster clasp, the bracelet is approx. 7.5" long. 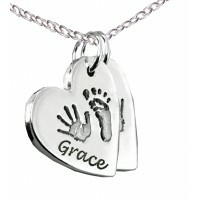 Our charms are approx. 2cm at the widest point & are approx. 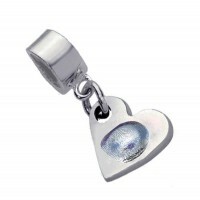 1.5mm deep; all jewellery items are presented in a gift box. 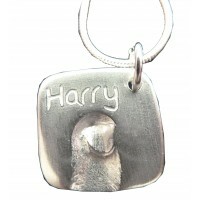 When you place your order for this item, we will initially send you the putty kit(s) to capture the fingerprint(s), detailed instructions are given with this to enable you to capture a detailed print for your finished charm, you simply return these moulds to us and we will then be able to create your fingerprint jewellery for you, this will normally take approx. 21 days from when we receive the moulds back, but it will take slightly longer at very busy times like Mother's day and Christmas so please order early to avoid any disappointment. 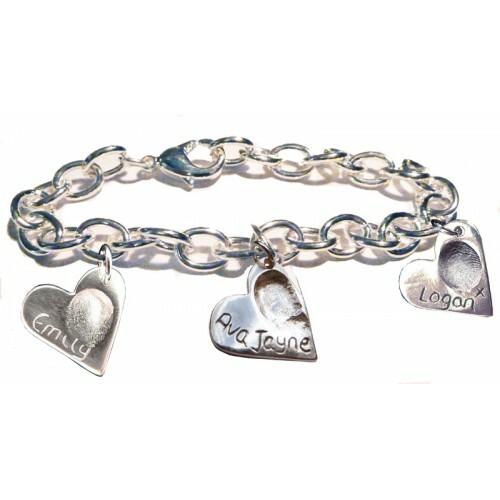 You can add up to 3 charms to these silver bracelets, please ask us if you require a bracelet with more charms than this and we will be happy to give you a quote for these. Extra Fingerprint Jewellery Putty for our range of fine silver fingerprint jewellery. This is just t.. 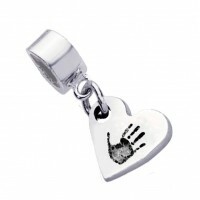 Double fine silver fingerprint necklace, every fingerprint and impression is different, they are tot..
Fine silver fingerprint jewellery is still a favourite keepsake for many new mums, and this necklace..
A beautiful fine silver fingerprint charm to fit most Pandora style bracelets, each charm is made fr..
An original Christening gift or a unique way to welcome a new baby, suitable for either as a new bab..
A favourite keepsake for many new mums, a fine silver fingerprint necklace, every fingerprint is uni..
A FINE SILVER Textured Fingerprint Heart Necklace, every fingerprint is unique and so every piece of..
Fine silver footprint jewellery is still a favourite keepsake for many mums, and here is a.. 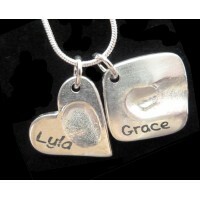 This necklace is a fine silver footprint necklace and these are still a favourite keepsake for many .. 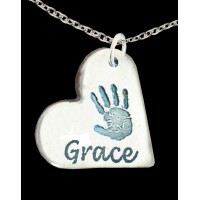 This necklace is a fine silver hand print necklace and these are still a fa.. 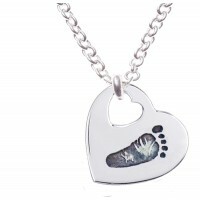 This necklace is a fine silver hand print and footprint necklace and these are s..
Fine silver hand print jewellery is still a favourite keepsake for many mums, and her..
A beautiful fine silver hand print charm to fit most Pandora style bracelets, each charm is made fro..
A beautiful fine silver footprint charm to fit most Pandora style bracelets, each charm is made from.. 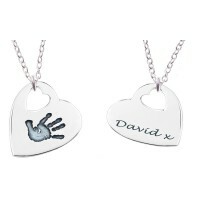 Double fine silver hand print and/or footprint necklace, every hand and/or footprint is different, t.. 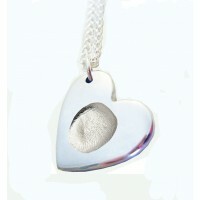 This necklace is a fine silver paw print necklace and these are still a favourite keepsake for many ..
Fine silver fingerprint jewellery is still a favourite keepsake for many new mums, and this FINE SIL..
Our fine silver fingerprint necklace is still a favourite keepsake to keep close to your heart,..
A beautiful Fine Silver Pandora Style Fingerprint Charm to fit most Pandora style bracelets, each ch..
Fine silver fingerprint charm, our fingerprint jewellery is still a favourite keepsak.. 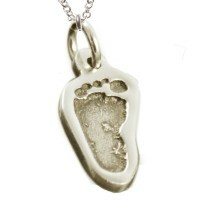 This necklace is a fine silver, shaped footprint necklace and these are still a favou..